Bonnie oversees & manages our Ferdinand, IN storage facilities for Access Storage Now. With over 22 years of experience in customer service, Bonnie joined Access Storage Now in 2018 as the corporate customer service specialist. She volunteers in her community and church and enjoys spending time with her husband Brent and two children, Lexie and Colin. In her spare time, Bonnie likes to go boating, cruising the countryside in their ’57 Chevy & cheers on the Kentucky Wildcats during basketball season. Looking for storage units in the 47532 area code? 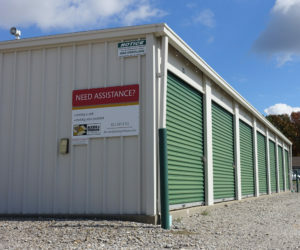 Access Storage Now on 1st St in Ferdinand, IN has a range of storage units on offer – from temperature controlled to traditional, from large to small. Whether you need self storage for personal or business purposes, our facility has storage unit solutions for your individual needs. Need to store valuable items that are sensitive to changes in temperature? Our temperature controlled units keep temperature levels stable so your items can stay cool during their stay at our facility. Read more about temperature controlled storage from Access Storage Now, today! Our facility gives customers unprecedented flexibility when it comes to accessing their storage units. 24/7 storage unit access allows you to load or unload your space anytime without worry about being locked out of our facility. We all know how space-intensive storing vehicles can be. Whether you are storing a classic car, RV or boat, it can be difficult finding the right amount of space for your needs. Instead of struggling to find the right vehicle storage space at your home or in your yard, consider vehicle storage from Access Storage Now! Our outdoor vehicle parking spaces are very popular amongst RV, automobile, and boat owners alike. Learn more about vehicle storage from Access Storage Now. Renting and Payment Made Easy! Want the flexibility to make payments and reserve or rent units anytime? Take advantage of our online payment portal, where you can make payments on your schedule using your debit or credit card. Reserve or rent units around the clock using our online rental system. Simply click “Rent Now” next to a size that is right for you to get started! Here at Access Storage Now, we take pride in our self storage expertise. If you have any questions or concerns regarding our storage units in Ferdinand, IN, please give us a call at (812) 367-1701. One of our representatives will be happy to help! The town of Ferdinand was named after the emperor Ferdinand I of Austria. Ferdinand, Indiana is a part of the Jasper Micropolitan Statistical Area. If you are driving to our facility from near Bretzville, IN, first head southwest then turn right onto IN-162 S. In 5.8 miles turn left onto E 1st St, and then in .2 miles arrive at Access Storage Now (307 E. 1st Street, Ferdinand, IN 47532). If you are coming from near Santa Claus, IN, first head west toward E Christmas Blvd/County Rd 1600 N then turn left onto E Christmas Blvd/County Rd 1600 N. In .3 miles turn left onto IN-162 N, and then in 7.7 miles turn right onto E 1st St then in .2 miles arrive at Access Storage Now (307 E 1st St, Ferdinand, IN 47532). If you are coming from near Birdseye, IN, first head north on Cherry St toward IN-64, and then turn left onto In-64 W. In 10.4 miles turn left onto IN-162 S, and then in 6.1 miles turn left onto E 1st St. In .2 arrive at Access Storage Now (307 E. 1st Street, Ferdinand, IN 47532). If you are visiting our facility from near St. Henry, IN, first head north on West St toward W 1100 S, and then turn right onto W 1100 S. In 3.1 miles continue onto W 3rd St/County Rd 1100 S, and then in .5 miles turn right onto Main St. In .2 miles turn left onto E 1st St, and then in .2 miles arrive at Access Storage Now (307 E. 1st Street, Ferdinand, IN 47532). Have you recently moved and now have some unneeded items? Give them to this donation center near Ferdinand, IN! Are you looking to do some home renovations? Check out these hardware stores near Ferdinand, IN! Are you considering moving to or from Ferdinand, IN? Leave the hard work to the professionals and have one of these real estate agencies near Ferdinand, IN help find your dream home! If you’ve recently moved near Ferdinand, IN with school aged children, consider sending them to Southeast Dubois County School Corporation. Feel its a safe place.